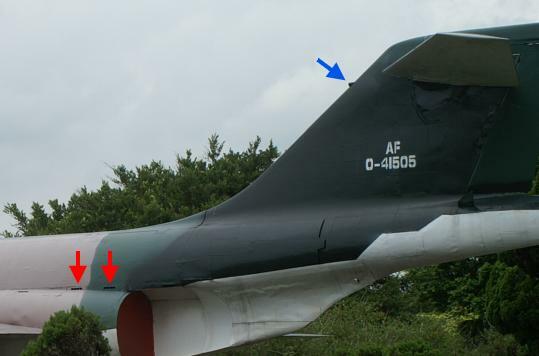 The two RF-101 at Taoyuan Aviation Museum and at ROCAF Museum in Kangshan were suspected as two C models painted with fake A-model serial numbers because both aircraft have the small air intake on the leading edge of the vertical fin which is a distinctive feature of the C model. 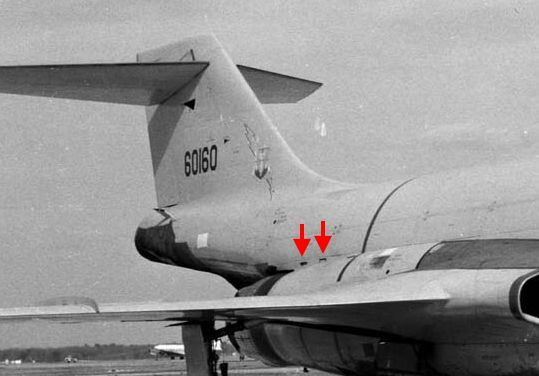 The three official USAF photos below show the air intake on the RF-101C, which is indicated by an arrow. 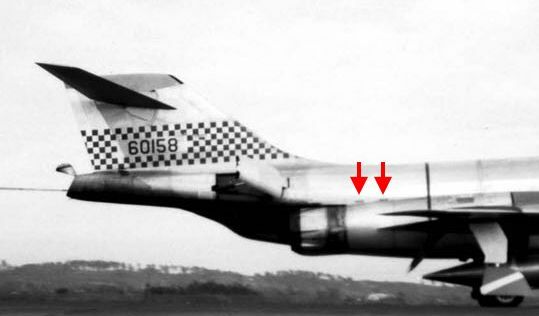 According to a former USAF RF-101C pilot, the intake is used to cool the drag chute compartment and eliminates the 5-minute limit on using the afterburners on the A model. The following two photos show that the two Voodoos in Taoyuan and Kangshan both have the intake (indicated by blue arrows). However, they also feature some kind of vents where the engine cowling and the fuselage meet (indicated by red arrows). You will not find these vents on the C model. Here are high-quality photos of the RF-101C on Airliners.net. See if you can find the vents. These vents seem to be a feature that only can be found on the A model. 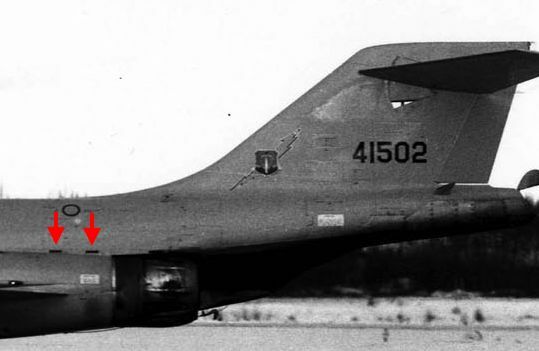 The aircraft in the following three official USAF photos are all RF-101A and they all share this feature. 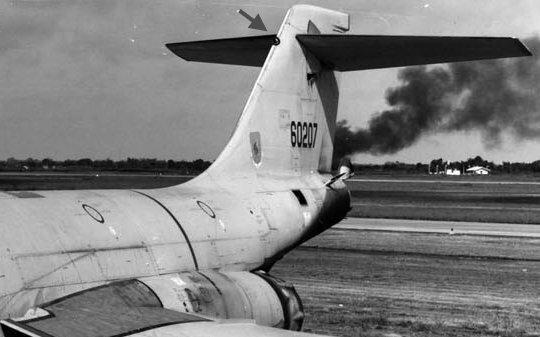 Note that they do not have the air intake on the fin. So what is going on here? 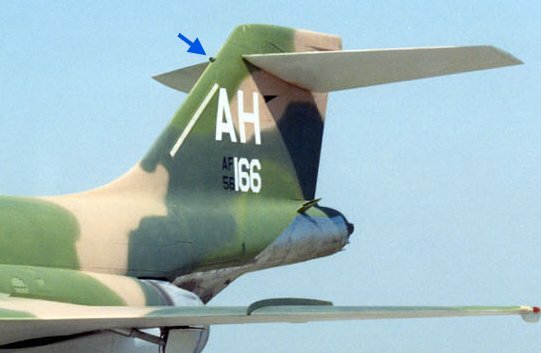 A former USAF Voodoo pilot suggested to me that the RF-101 preserved in Taoyuan and Kangshan might have been the RF-101A with modified C-model vertical fins. I think he is right because ROCAF Voodoos were constantly chased by Chinese MiGs and the pilots might need to operate the afterburners longer than the 5-minute restriction in order to outrun them. I hope this case is closed. 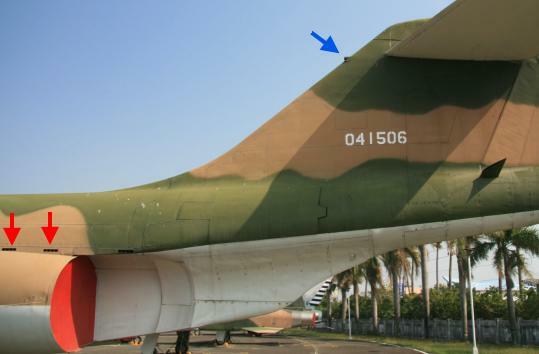 In the event you don’t already know, the RF-101A (#54-1499) preserved at Hualien AFB appears to be an un-modified A model. 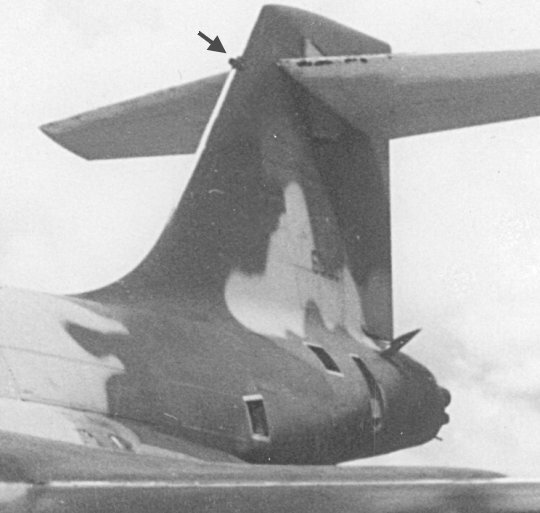 It has vents at the base, and no inlet on the leading edge. Please see my research. Thanks!